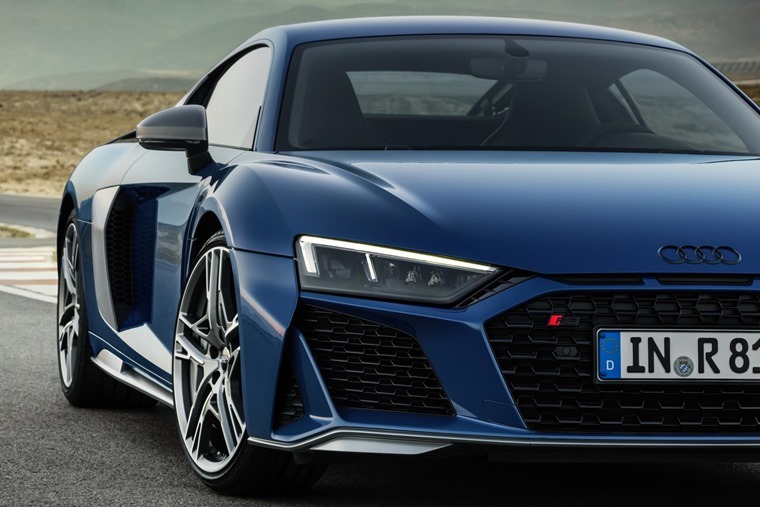 The Audi R8 supercar has been updated for 2019, with the facelifted version featuring a sharp new look as well as a more potent V10. 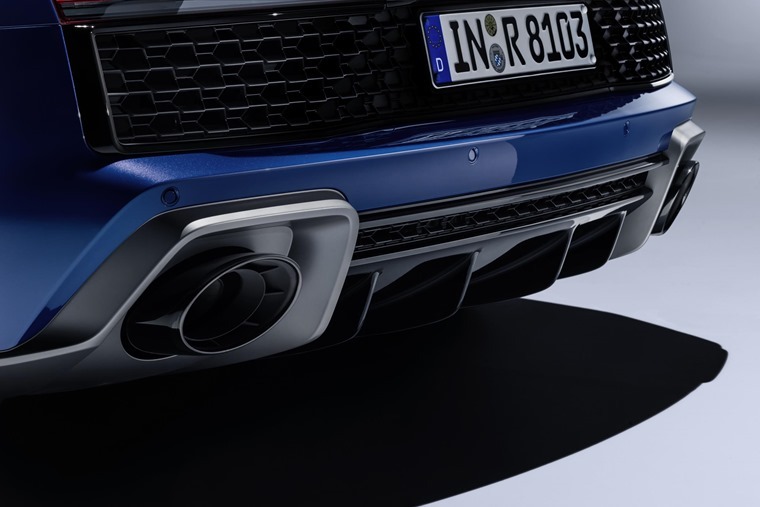 Audi has tweaked the 5.2-litre naturally aspirated V10 to produce 562bhp in its most basic form – that’s a 29bhp increase over the outgoing model. Torque has also increased to 550Nm. This results in a 0-62mph run of 3.4 seconds for the Coupe, and 3.5 seconds for the ragtop Spyder. Both can now exceed 200mph, however, with the Coupe capable of 201mph. Audi has also rebranded its current R8 V10 Plus as the R8 Performance. This model has been tuned to produce 612bhp, although top speeds remain unchanged with the Coupe and Spyder able to reach 205mph and 204mph respectively. 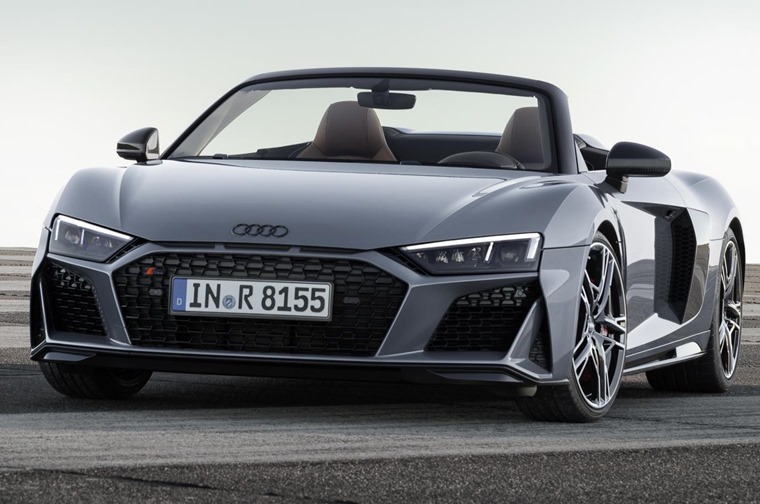 All R8s now feature tech that’s helped them meet new WLTP emission standards, although this means it now weighs more – a likely explanation for the increase in power. Audi hasn’t just increased power either; mechanically the steering and suspension set-up has been adapted to ensure high-speed stability, while a new selectable driving mode means there’ll be greater difference between Comfort, Auto and Dynamic. Aside from the enhanced powertrain, more obvious external tweaks include a wider “Singleframe” grille – similar in style to the new Q8. The headlights are darker than before, with the overall appearance offering “more visual aggression”. There are extra vents at the front, too, while the bumper’s apron has also seen revisions. At the rear, you’ll notice a new engine cover and tailpipe exit. New colour and trim finishes have been added, while a range of 19in and 20in wheel designs will be offered. 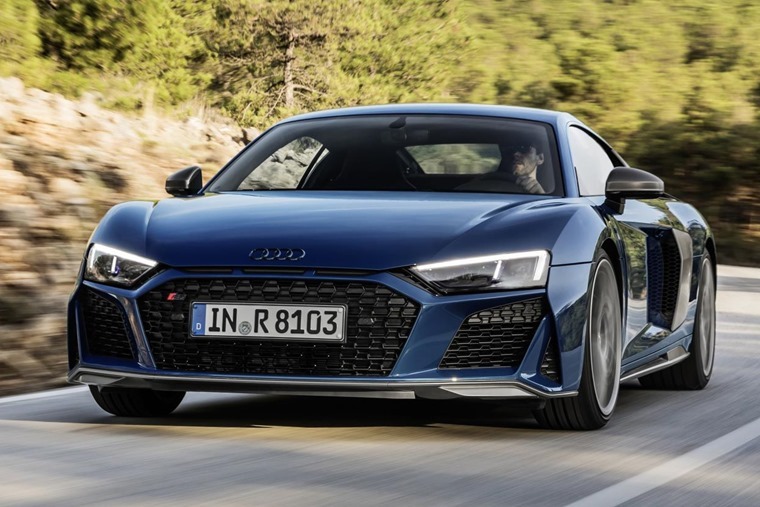 Inside the cabin, changes are less noticeable, although some Alcantara trim has been added, and Audi says there are new colour and stitching ranges available, with Audi’s exclusive range offering customers the opportunity to customise many details of their R8. UK ordering for the facelifted R8 will begin in early 2019, and list prices are expected to reflect the current line-up. Lease rates are to be confirmed, although you can check out Audis that are available for a wide range of budgets by clicking here.